Wladimir Klitschko has been the dominant heavyweight of his era, ruling over the big boys for eight-plus years without a loss. 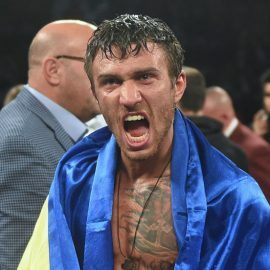 The Ukrainian giant will be a first-ballot selection to the International Boxing Hall of Fame five years after he retires but, even at 38, he doesn’t appear to be anywhere close to completing his legacy. 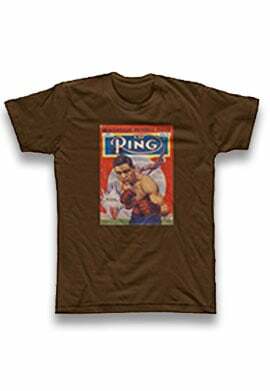 His reign as world champion is second only to that of Joe Louis, who held the title for 11-plus years. He has been a titleholder for more than 10 years over two reigns. His streak of 16 consecutive title defenses ranks only behind those of Louis (25) and Larry Holmes (20). He has 21 defenses overall. 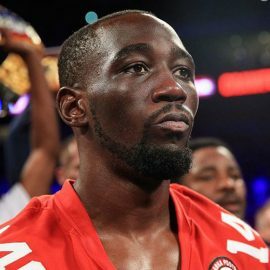 He is 23-2 in world title fights. He’s 20-0 since his last loss (in 2004), including 14 knockouts. He’s 62-3, with 52 knockouts. And Klitschko’s success didn’t begin in the professional ranks, as he won the super heavyweight gold medal in the 1996 Olympics. 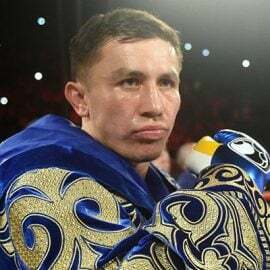 After turning pro, the younger brother of Vitali Klitschko easily outpointed Chris Byrd to win the WBO version of the heavyweight title in 2000 and successfully defended five times. Then his career went into a temporary tailspin. Klitschko lost his belt in his sixth defense when he was stopped in the second round by Corrie Sanders in 2003. He won his next two fights but was stopped again, this time in five rounds by Lamon Brewster for the vacant WBO title. Some believed Klitschko was finished. Instead, after partnering with the late, great Emanuel Steward, he has put together one of the most impressive streaks in boxing history. 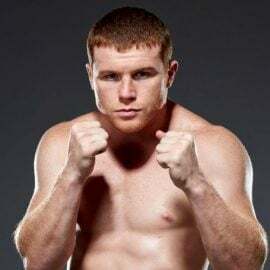 He won the IBF title by stopping Chris Byrd in 2006 and then added the WBO, WBA and RING Magazine titles, barely facing a legitimate challenge along the way. Klitschko is aware that the great Louis’ record appears to be within his reach but he believes it’s too early to dwell on that. He doesn’t know what the future holds. Klitschko has fought all the best heavyweights of his era – except one. And we’ll have to excuse him for that. “I’m very happy that I didn’t face my brother,” he said with a laugh. Vitali held the WBC title in 2004 and again from 2008 to 2012, giving the Klitschkos all the major belts for a time. Still, Wladimir has his detractors among fans and the media. No one can dispute that he wins fights but some bemoan a style they consider safety-first, a product of the knockout losses earlier in his career. He shrugs his shoulders when this is mentioned. “I understand the criticism and I understand here and there I could have done a better job. It’s just something you have to live with. I think it’s good that it exists. I take criticism as a motivation,” he said. 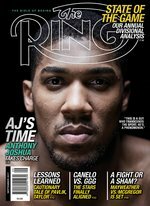 Klitschko took time out from training for his November 15 bout with Kubrat Pulev to speak with THE RING about the best he has faced in 10 key categories. 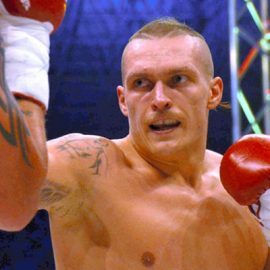 Sultan Ibragimov, David Haye and Tony Thompson: I would say Ibragimov. Very sneaky, very fast, very technical considering his size and the way he does it. I would say David Haye had really good skills in my fight, his speed and movement. Some punches missed but he did good. 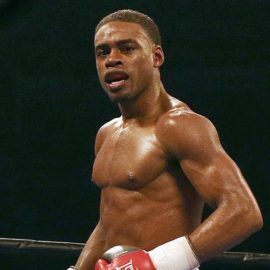 I cannot forget Tony Thompson, I fought him twice. He was awkward and he was very smart. I would probably say Ibragimov, Haye and Thompson. Kubrat Pulev: Kubrat Pulev is using his jab very good. I expect him to have the best jab. Thompson: Tony Thompson by far. He’s not fast but he’s awkward. He’s very difficult to hit, very difficult. With Emanuel for the first fight, we were analyzing the fight. There’s always something in common with Thompson: None of the fighters hit him clean. I couldn’t land clean punches, it was very challenging. Samuel Peter: Samuel Peter in 2005. I hit him with so many clean shots and in the 12th round I thought I broke my knuckles with a left hook. He wobbled but he was still on his feet. I think I took life out of him in that fight because he was hit so much. In the first fight his determination and will to win was amazing. Corrie Sanders: He was very fast and he had really powerful hands. I’ve been in boxing for 25 years and I never fought anybody in this game that punched like Corrie Sanders. Eddie Chambers: Eddie Chambers I think had really good hand speed. I think David Haye and Ibragimov also. Haye: Probably my sparring partners because they’re lightweight (laughs). … I would say probably Haye. He was very skilled and very quick. His balance is not as good but his foot speed is. Ibragimov: Absolutely Ibragimov. He was very sneaky, he knew what he was doing, he was smart. Tony Thompson was smart, so was Chris Byrd. Peter: Samuel Peter in the first fight. He was a machine, very big guy. He was like a brick that you cannot crush, like a truck. They all have something but overall I think it’s a question mark. I will answer when I am done with my career. I couldn’t pick any because I’m not done with my career. Let me continue and we will see.